Three times a Pushcart nominee, Kari Gunter-Seymour’s chapbook Serving was chosen runner up in the 2016 Yellow Chair Review Annual Chapbook Contest and nominated for a 2018 Ohioana Award. 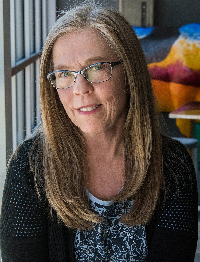 Her poems can be found in many fine journals, Rattle, Crab Orchard Review, CALYX, Still, Main Street Rag and on her website: www.karigunterseymourpoet.com. She is the founder/executive director of the Women of Appalachia Project: www.womenofappalachia.com, an Instructor in the E.W. Scripps School of Journalism at Ohio University and Poet Laureate for Athens, OH. David Dodd Leeis the author of ten full-length books of poems & a chapbook, including Downsides of Fish Culture (New Issues Press, 1997), Arrow Pointing North (Four Way Books, 2002), Abrupt Rural (New Issues Press, 2004), The Nervous Filaments (Four Way Books, 2010) Orphan, Indiana (University of Akron Press, 2010), Sky Booths in the Breath Somewhere, the Ashbery Erasure Poems (BlaxeVox, 2010), Animalities (Four Way Books, 2014), & And Other’s, Vaguer Presences, a second book of Ashbery erasure poems. 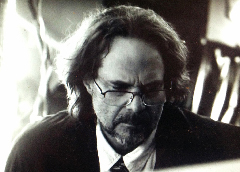 He has published fiction in many literary magazines, & is currently making final edits on Flood, a novel. He is also a painter, collage artist, and a photographer. Since 2014 he has been featured in three one person exhibitions, mixing collage & poetry texts into single improvisational art works. Recent artwork has appeared in Tupelo Quarterly, The Hunger, The Rumpus, and Twyckenham Notes. In 2016 he began making sculpture, most of which he installs on various public lands, surreptitiously. Unlucky Animals, a book of collages, original poems, erasures, and dictionary sonnets is forthcoming in 2019.